Want to WIN the amazing true-life book ADRIFT is based on? | SHEmazing! Want to WIN the amazing true-life book ADRIFT is based on? Been to the cinema lately? If so, you may have spotted the posters everywhere for the brand new heart wrenching film ADRIFT. 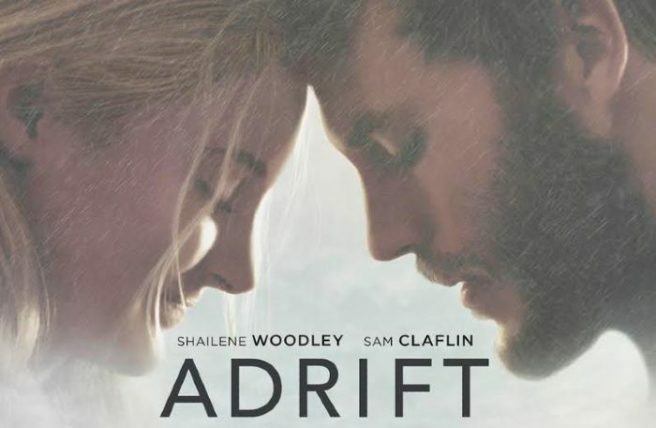 From the director of Everest and starring Shailene Woodley (Big Little Lies) and Sam Claflin (Me Before You), ADRIFT is based on the incredible true story of two young adventurers whose chance encounter leads them first to love, and then to a fight for survival. Setting off on the journey of a lifetime across the Pacific ocean, Tami Oldham and Richard Sharp are pushed to their limits as they sail directly into one of the most catastrophic storms in recorded history. In the aftermath, Tami awakens to find Richard badly injured and their boat in ruins. With no hope for rescue, novice sailor Tami must find the strength and determination to save herself and the only man she has ever loved. ADRIFT opens in Irish cinemas from June 29th, so you could get down there and see it right this moment. ADRIFT is an unforgettable story about the resilience of the human spirit and the remarkable power of love, and we have FIVE copies of the original novel the film is based on to give away. The novel, Red Sky in Mourning: A True Story of Love, Loss and Survival at Sea, was written by the real Tami Oldham Ashcroft after her ordeal in 1983. Fancy nabbing yourself one of five copies?